For many, the cup of coffee is more than a beverage of choice, but rather a way of getting through the day successfully. When you enjoy drinking coffee regularly, your craving for this beverage is real, and the need for caffeine is paramount. 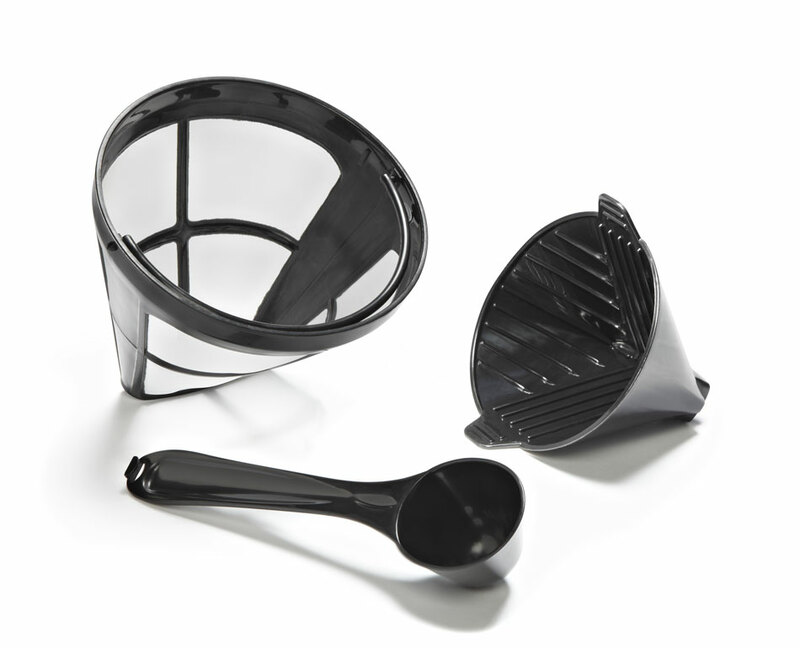 For the perfect daily cup, or two or three, the perfect coffee maker accessories are necessary. You don’t have to be a scientist to make the perfect cup. Start with a quality coffee maker, and go from there. It is fun to experiment with the different tools and options to find just the right way of making your ideal drink. No longer a tool for the professional, a coffee mill or coffee bean grinder is a great place to start your journey to the best cup of coffee ever. Fresh beans are the main ingredient for a great cup of coffee, and the ability to grind them as needed is cost-effective and preserves the great taste and aroma. Enlisting the proper storage of these beans is important, and researching the ideal choice for keeping your beans is a good recommendation. Finding and investing in just the right coffee bean is a matter of taste, it would be a shame to lose their rich flavor because they are not properly stored. Just as important as the coffee, surprisingly, is the coffee filter. Whether you buy them in a jumbo size sleeve of paper filters at a big box retailer or make the investment in a gold filter, the proper use of a filter makes the difference between a lousy cup of coffee and bliss in a cup. Paper filters are the least expensive and can be found everywhere. The choice to use cloth filters is more cost effective in the long run and appeals to those who are more conscious of the environment. Gold filters are an investment over the cost of paper and cloth filters but enjoy a substantially longer life, and some will argue that the coffee they produce is without compare. Your filter, regardless of how it is constructed; paper, cloth or gold, is important not only to keep grounds out of your drink but also to take impurities out of the water being used. This is especially important when using tap water, to make sure your taste is not compromised with unwanted additives or minerals. Not only available in retail shopping locations, but the internet is also brimming with coffee maker accessories to make your coffee experience more pleasant. Check the websites of popular manufacturers and use search engines for more information. Don’t be intimidated; follow the directions, your taste buds and your heart, and soon you will be enjoying your best cup ever! Some people raise profits with coffee investment that is aimed at large profits and forget or declare that they do not declare or forget that some people have had tax investigation from the tax office and have to respond to additional taxation It is the current situation. Specifically, when you are able to make more profit than 200,000 dollars, do not forget to make a final tax return. A housewife and coffee (born as a result of the revision of the foreign exchange law in 1998, became a boom) There are also people who have invested and got big money, but some housewives conversely collapsed due to a large loss There are not many people. coffee which can use leverage (born as a result of the amendment of the foreign exchange law in 1998, became a boom) In investment, although profit is big, damage also comes up largely. Do not tell your husband, please be careful to invest in coffee (born as a result of the amendment of the Foreign Coffee Act 1998, became a boom) investment and leave enough money to live without living . Copyright © 2019 Roasted Whole Bean Coffee Washington, Oregon | Theme by SiteOrigin.